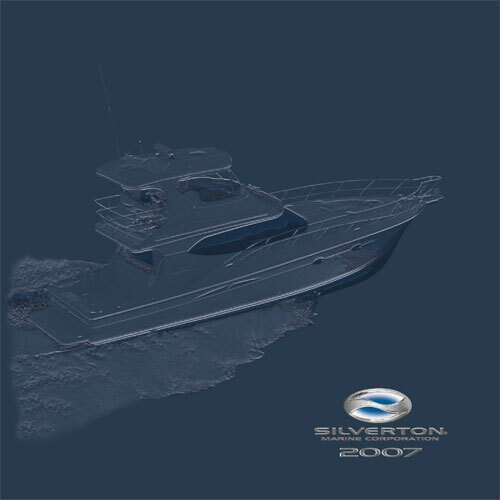 Silverton Yachts is a manufacturer of motor yachts from 31 to 50 feet located in Millville, NJ. 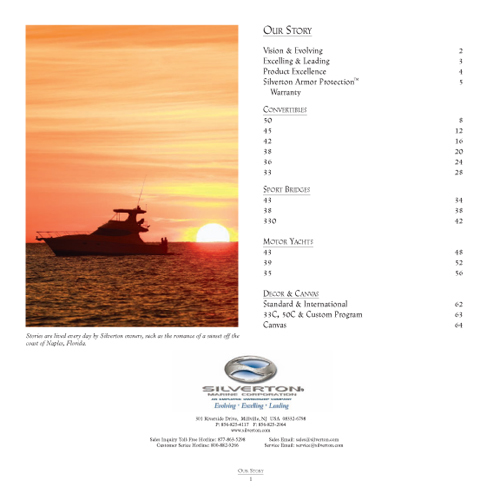 Design a 64 page product catalog to reflect the high-end product. Designed a high end cover with a multi-layered emboss on a premium stock, interior pages utilized a no-bleed layout to reduce costs.